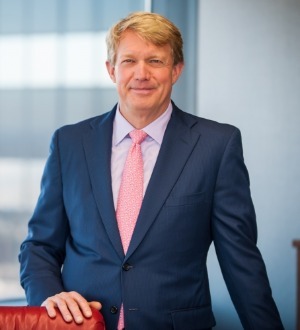 As the only Tennessee attorney named Best Lawyers in America for Food and Beverage Law, Will Cheek leads firm’s Alcoholic Beverage Team and provides licensing and regulatory compliance advice to restaurants, hotels, bars, clubs, craft distilleries and breweries. Will’s clients range from small chef-owned restaurants to large publicly traded corporations. He is nationally known as the go-to source for Tennessee liquor law and authors the blog Last Call, covering Tennessee alcohol, restaurant and hospitality news. Will is also a trusted legal adviser to small business owners. He regularly helps entrepreneurs launch new businesses and takes pride in serving as “on-call general counsel” to established entrepreneurs, from rapidly growing start-ups like Nashville-based Gigi’s Cupcakes, the largest cupcake chain in the country, to Kraft CPAs, one of Tennessee’s largest and most respected independent accounting firms. Will co-founded the legal clinic at the Belmont University Center for Entrepreneurship and has taught business formation and contracts to aspiring collegiate entrepreneurs. Will is a Founding Angel Partner for the Entrepreneur Center, Nashville’s non-profit incubator for entrepreneurs. One of Will’s passions is giving back to the Nashville non-profit community. He has chaired several local nonprofit boards, serves as an advocate for local arts and actively supports the election of progressive candidates to public office. Will is married to one of Nashville’s most successful litigators, Kathryn Barnett. Will and Kathryn have two children, Christopher and Ella, and live in an historic home just off Music Row in Nashville. A self-described “foodie,” he enjoys sampling the city’s new and unique restaurants. He is also an avid music fan, having seen hundreds of live shows. These days, he says he’s having fun introducing his young family to his passion for live and recorded music.